The Green-Qube 60 measures 60cm x 90cm x 60cm. 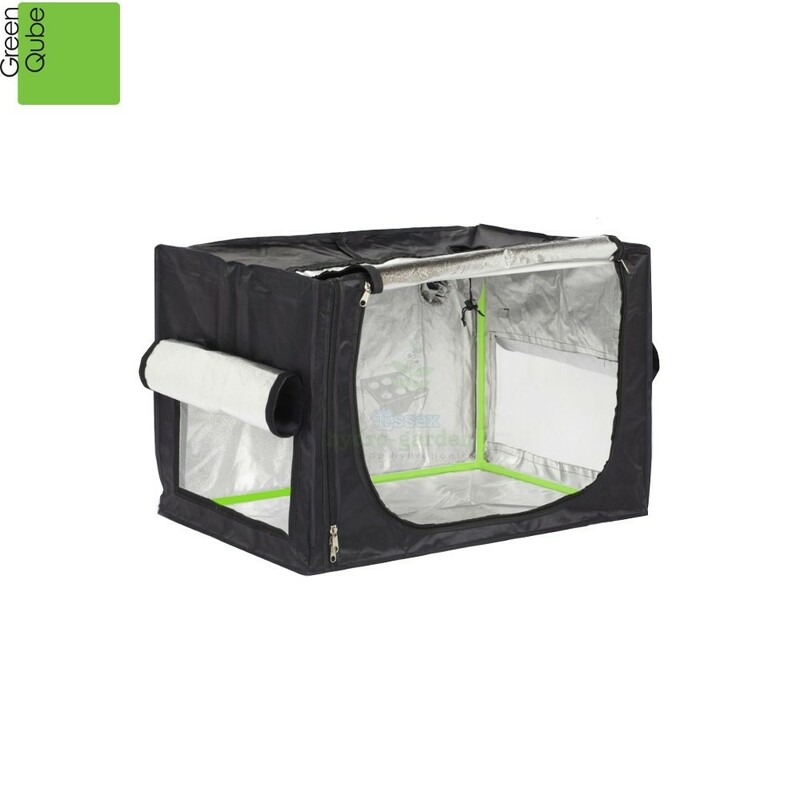 It can be used in two different positions, horizontally (60cm x 90cm x 60cm) or vertically (60cm x 60cm x 90cm), to give the grower ultimate flexibility. Comprising of 1 x main door, 1 x 4″ oversized extract port and 2 x outside passive vents with 700 microns bug-proof MicroMesh, both with LightSavers® to soften light glare. Made up of sturdy steel powder coated green poles that measure 16mm x 1mm, they can support over 20kg in weight! Green-Qube outer shells are fully waterproof, lightproof, with market-leading military style blackout 10 gauge zips. .